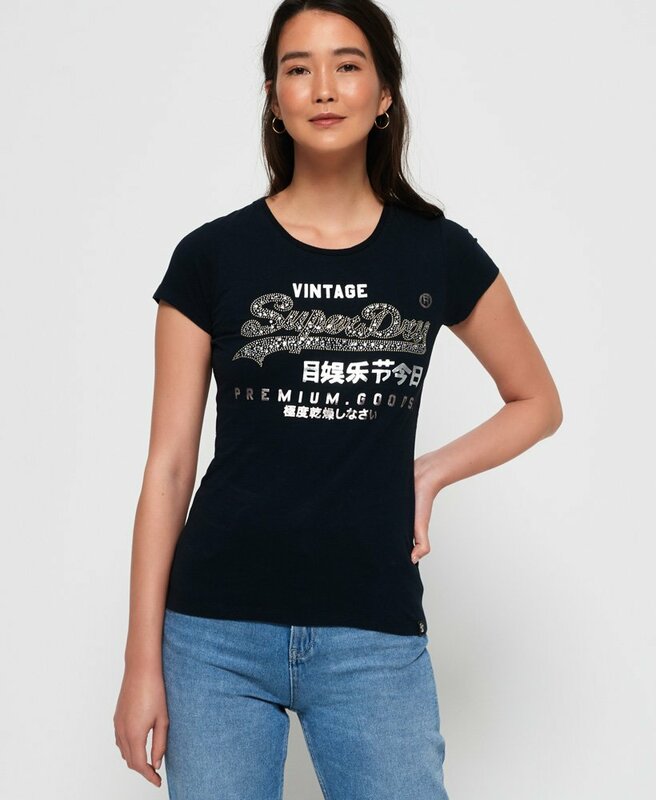 Superdry women's Premium Goods star stud t-shirt. Add some sparkle to your everyday wardrobe with the Premium Goods star stud t-shirt. This soft touch t-shirt features a crew neck, short sleeves and a Superdry logo graphic on the chest, with star stud detailing. Completed with a Superdry logo tab on the hem, this t-shirt will pair well with joggers for a cosy and casual look.